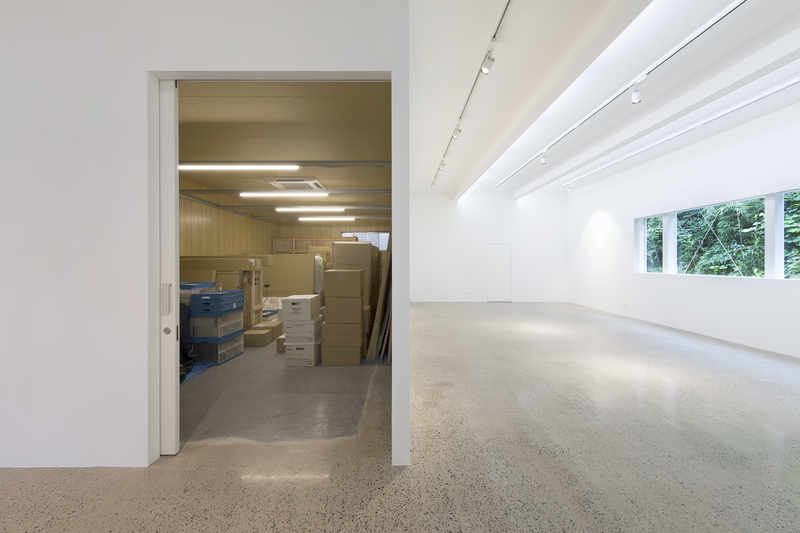 Photographer Mikiya Takimoto recently asked Puddle to renovate a pre-fabricated storage building, sited in what had previously been a warehouse complex but is now used by hand workers and other creative people as their workspace. It is sited in the middle of a bamboo forest on a hill in the Kanagawa Prefecture, not very far from Tokyo, but in very quiet surroundings. 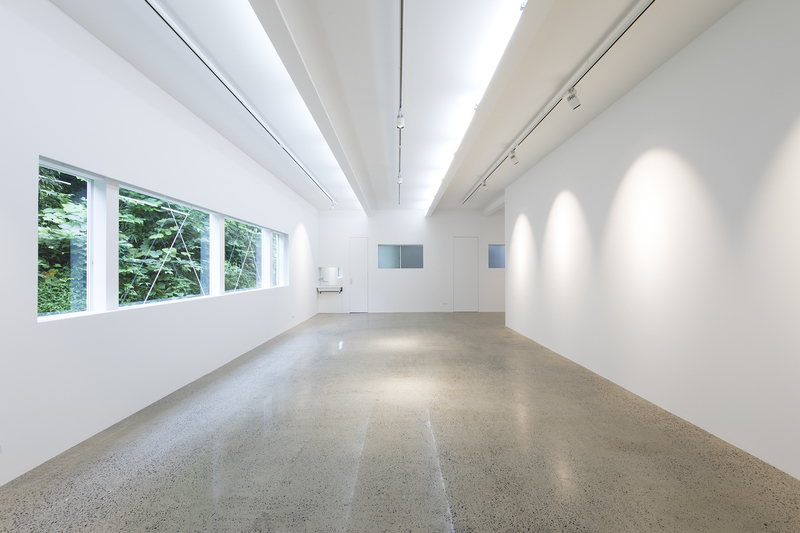 The L-shaped interior already had a pleasant atmosphere and, after painting the walls white, Takimoto-san decided to use it as an atelier where he could arrange the layout of photo exhibitions and also as a gallery for invited audiences and as a place to store his work. 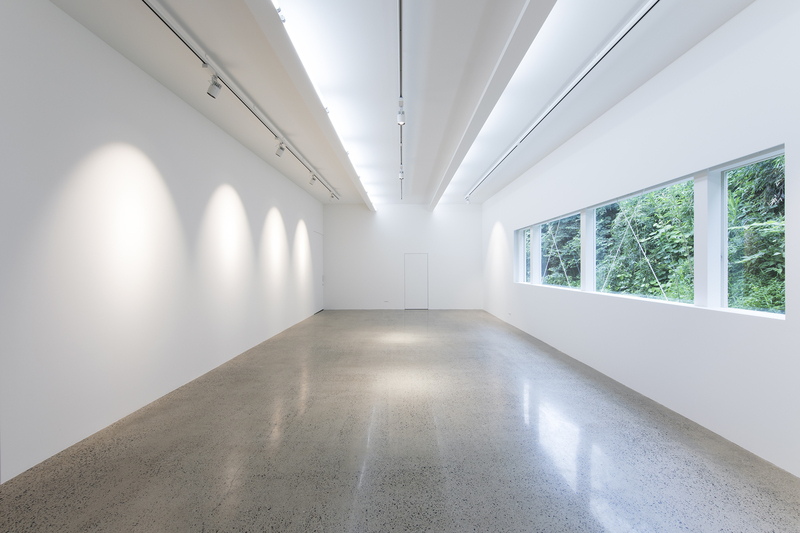 When you first enter the space, it seems like a simple white interior with a low ceiling but turning the corner you see a long room with a long window on one side. 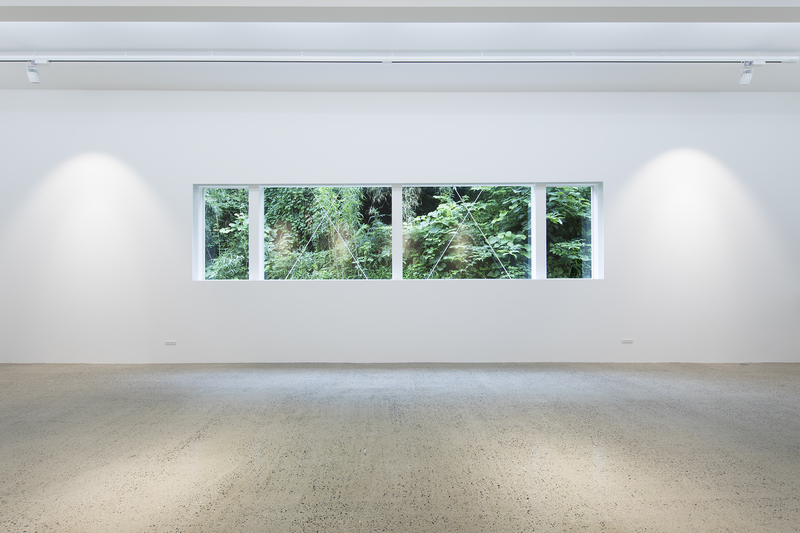 With the owner's permission, this long window was opened in the wall of what had previously been a windowless warehouse. Now it looks out onto the bamboo forest, admitting daylight and enchanting views of the changing seasons. 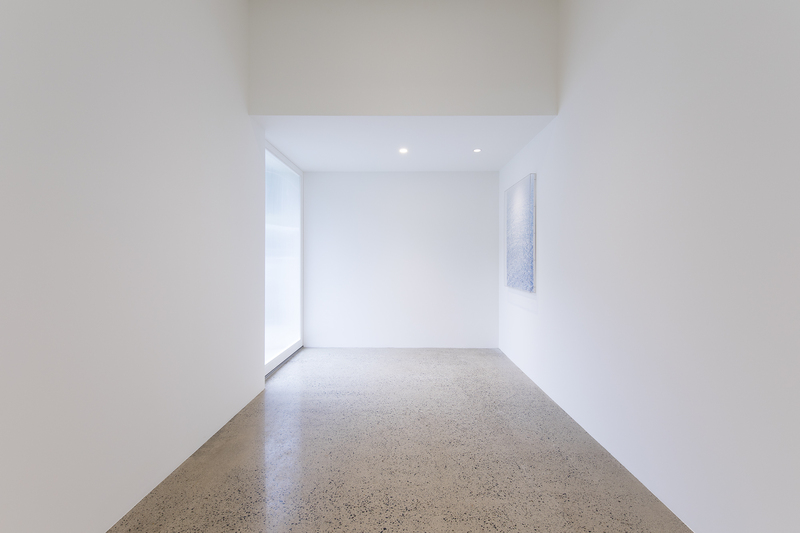 Mikiya Takimoto's work has a reputation of restrained dignity and the view through his window is not unlike one of his photos. 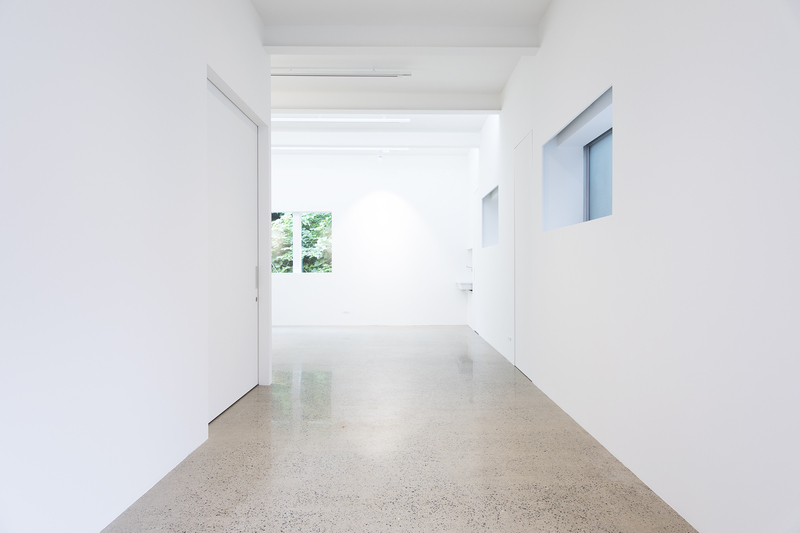 The indirect warm fluorescent light from the ceiling provides an equally calm feeling in the evenings, when the view outside lies in darkness. 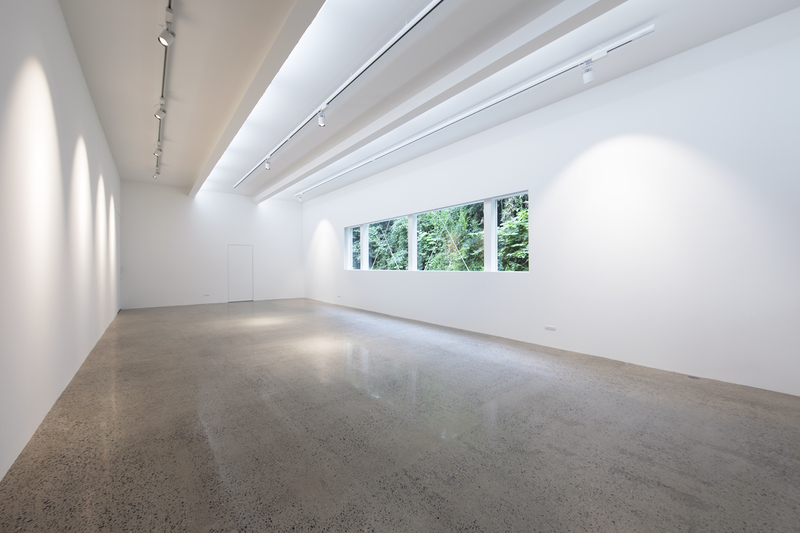 Opposite the window, two sliding doors open onto a large storage area. 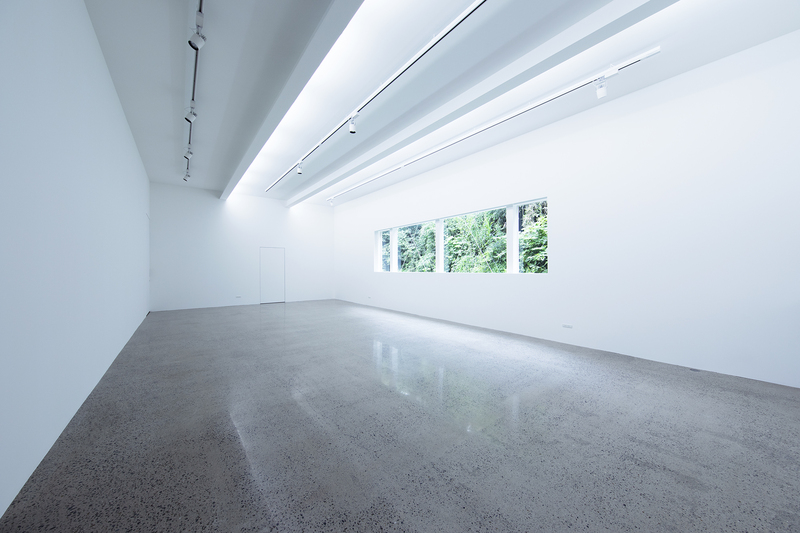 The concrete floor of the work space has been ground and polished so that the surface has a fine well-worn appearance. The walls and roof of the storage area are protected with a moisture barrier and thermal insulation. 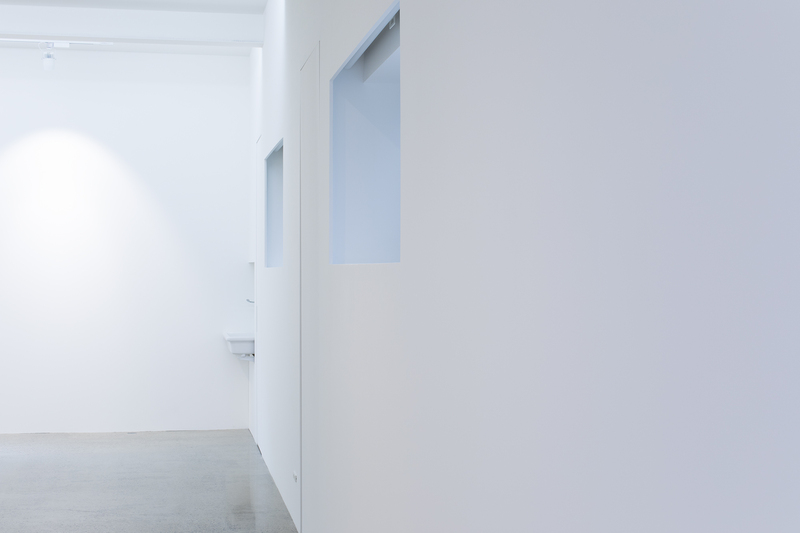 Ten years ago, Puddle designed Takimoto's Tokyo office in this same calm and dignified style, which is how they received the present commission.